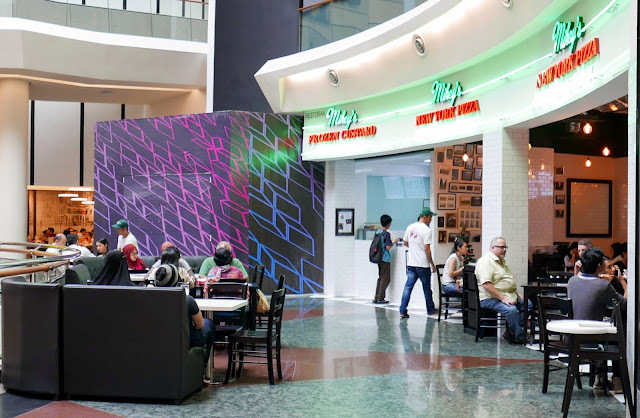 After bringing the original New York pizza to KL in 2014, Mikey's is ready to introduce our city to another authentic American classic - frozen custard, produced in the way that stays loyal to tradition. It's the kind of frozen custard that Mikey's eponymous Michael Helfman fondly remembers going for after little league baseball games back home, prepared using techniques & skills that Mikey's co-founder Andrew Bellucci picked up at Wisconsin's Frozen Dessert Institute. 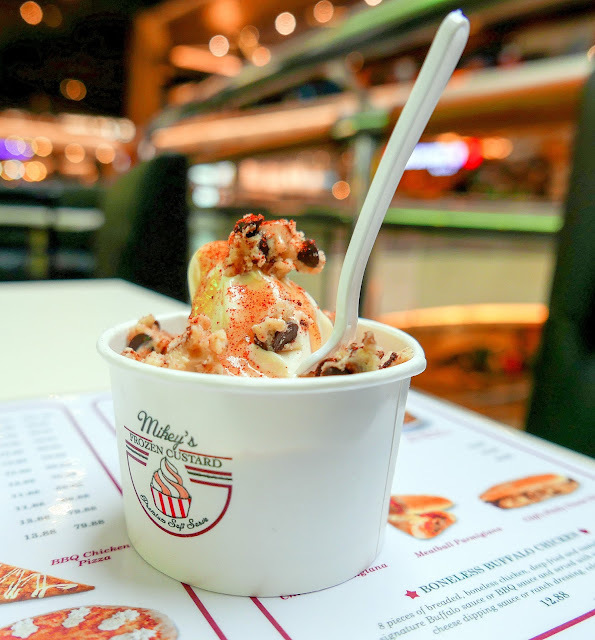 As Mikey's founders explain it, frozen custard sets itself apart from ice cream, most soft serves & even gelato by several measures. It's creamier, denser & less airy than both ice cream & regular soft serves, with a richness from egg yolk & butterfat that other soft serves lack. 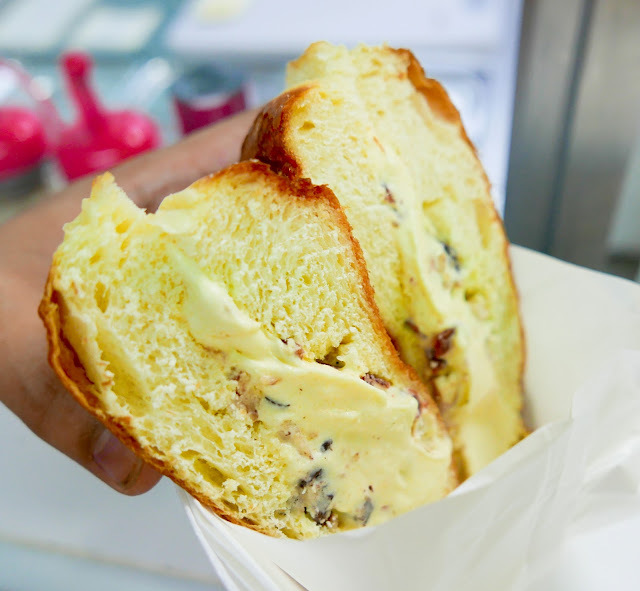 A higher butterfat content also distinguishes it from gelato; plus, frozen custard is freshly made & freshly drawn on order, remaining smoother & 'stickier,' with fewer ice crystals, than gelato that's been on display in a freezer cabinet for hours. For folks who want to know more, Andrew elaborates in greater detail on his website. Mikey's frozen custard is created with natural dairy products sourced from the Jersey cattle of Kuala Selangor's Bright Cow farm. Sold at a stand beside Mikey's latest pizza parlour in Mid Valley, the frozen custard is available for dine-in or takeaway - pick a flavour (we like the au naturel, though vanilla & chocolate work fine too; there are also options for a two-flavour twist or a flavour of the week, like espresso), then choose up to three toppings. 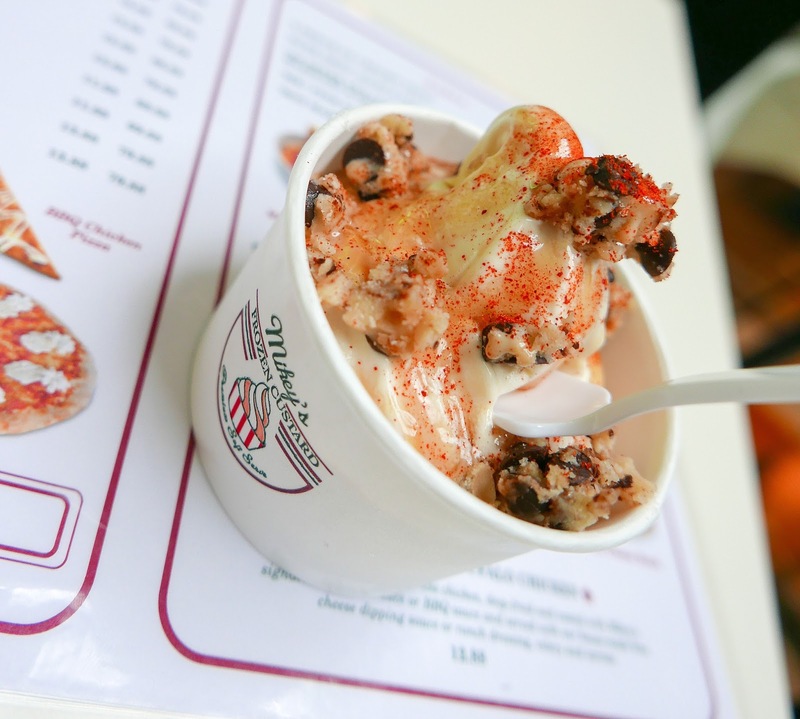 This is where things can get even more interesting - there are 26 different topping possibilities, ranging from the predictable to the peculiar; you can mix & match, or choose one of Mikey's preselected combos. We tried The Freak Show, which packed plenty of dynamics, with toppings of spicy honey, chilli mix, cookie dough & teh tarik sauce (!). Each cup of frozen custard costs RM6.88 without toppings & RM9.88 with toppings. 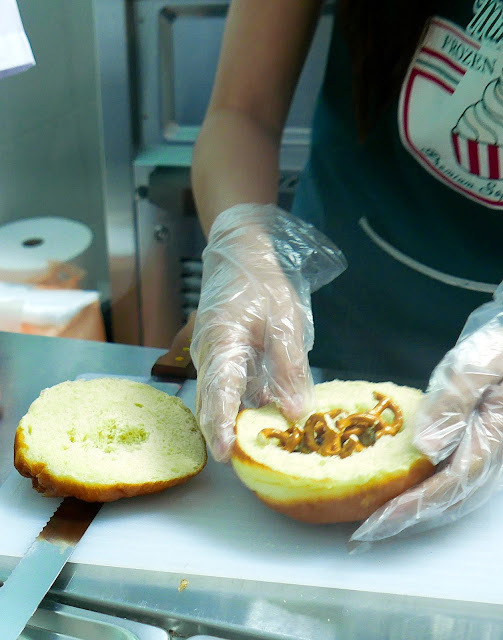 You can also have the frozen custard in a warm, flavoursome Mikey's bun, put together on order & heated on the spot for the ideal hot-&-cold interplay. We had ours in the Cyclone combination (the name is a nod to the historic roller coaster of Coney Island, where frozen custard was first commercialised in 1919), with extra fillings of 'Billionaire's Beef Bacon,' pretzel bits & cookie dough (RM11.88 for a bun with extra fillings, RM8.88 for a bun with just frozen custard). Other available toppings/fillings include toasted corn flakes, shaved coconut, mini marshmallows, pineapple compote, pancake syrup & even potato chips. 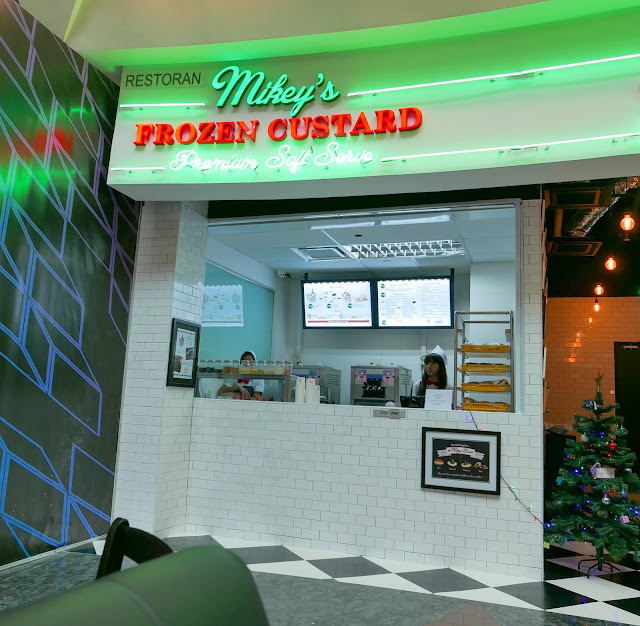 We're expecting to see Mikey's Frozen Custard at more of KL's malls next year; many thanks to Mikey's for having us here. 3rd Floor #T-028A, Mid Valley Megamall, Kuala Lumpur. Lovely Christmas colours. I guess I would love this as I love custard...like caramel custard, for one. 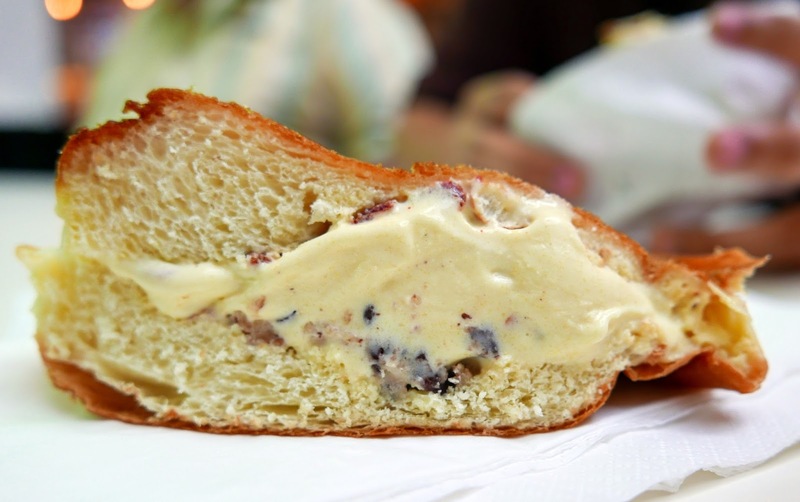 The custard sure does look creamy. 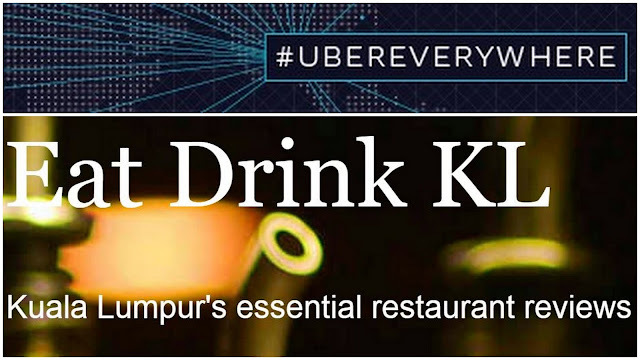 Great that they're sourcing the ingredients locally where possible. 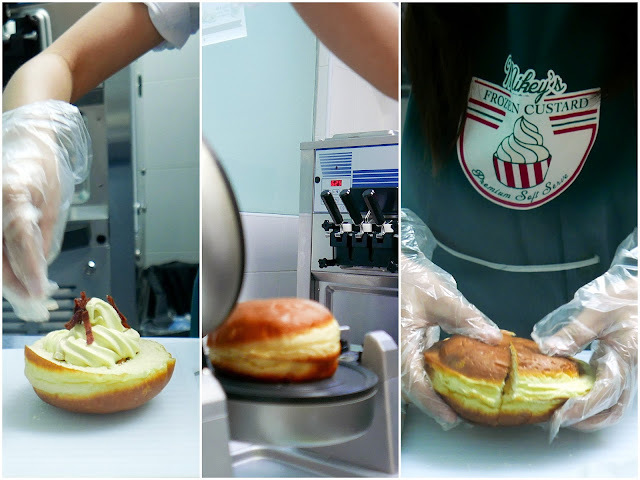 What a jaw-dropping moment to see them splitting the bun with frozen custard in it! Frozen custard with butterfat and egg yolk... Sounds very fattening eh? Whoa. 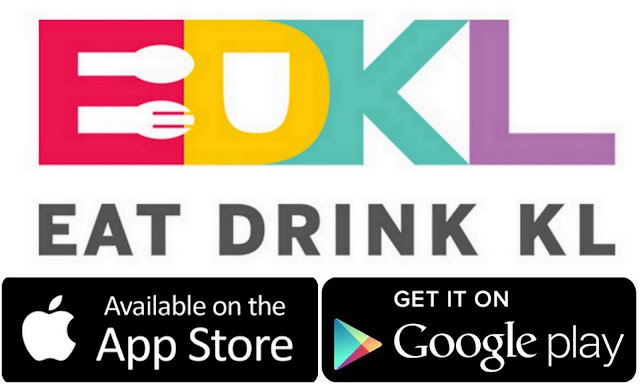 this sounds like its worth a try!